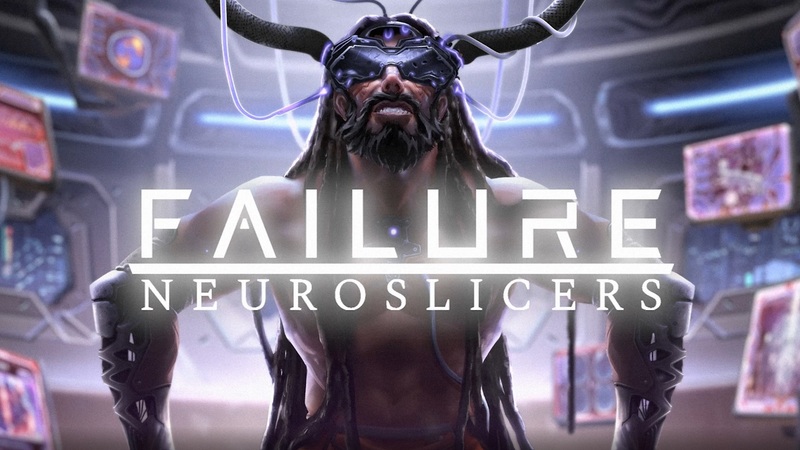 Failure: NeuroSlicers is a genre-defining highly tactical, narrative driven, online competitive cyberpunk arena based real-time strategy game. With AI powered units and battle board manipulation at its centre, Failure offers a set of truly fresh challenges for both the seasoned competitive player as well as those looking for a cyberpunk narrative driven strategy gaming experience. Cyber warfare just stepped up a gear. Battle it out in highly tactical real time PVP warfare with Failure: NeuroSlicers - a genre-defining new competitive real time strategy game coming out for PC / Mac / Linux and Xbox One. With advanced AI powered units and environment manipulation at its core, Failure: NeuroSlicers offers a set of truly fresh challenges for both the seasoned competitive player as well as those looking for a deep narrative driven strategy gaming experience. Combine a wide variety of highly customizable abilities including clever AI controlled units, upgradeable buildings and most importantly, hacking powers that allow players to manipulate the battle space, reconfiguring the environment and influencing the behaviours of both their and their enemy's units. Unlock the secrets of the NeuroNet and the corporations vying for control in a multiplayer driven narrative and ultimately make a decision who to side with as the war of the Network escalates. In Failure: NeuroSlicers you are a lone hacker looking to become the best Slicer in the network, but the truth hidden in it's depths might mean your fighting for more than just your share of cryptocurrency.